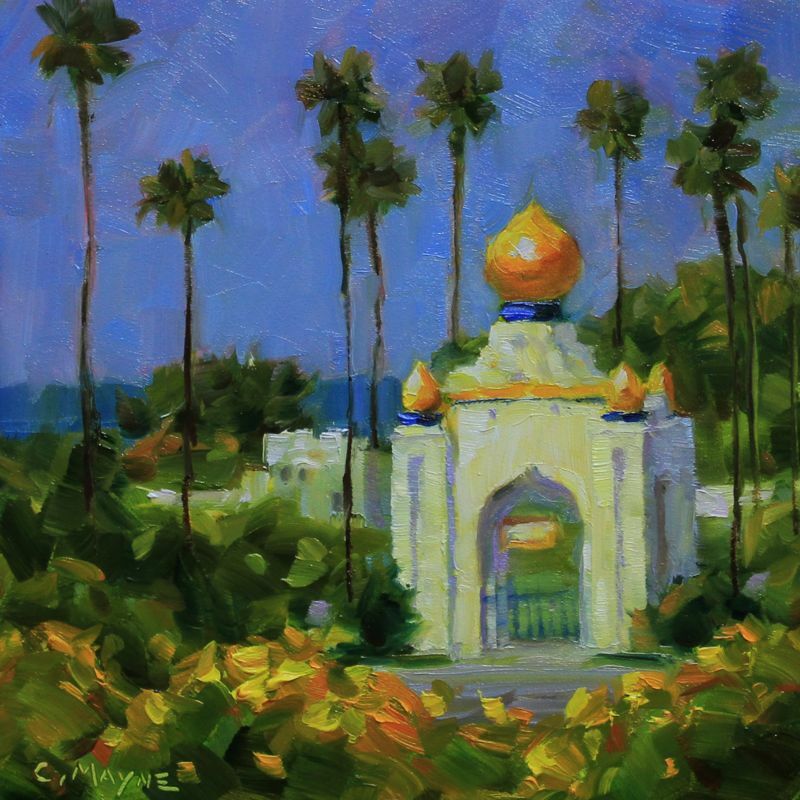 This is my Memorial Day painting, featuring the Lotus Towers of Self Realization Fellowship in Encinitas, which have stood for over 60 years as a symbol of world peace. 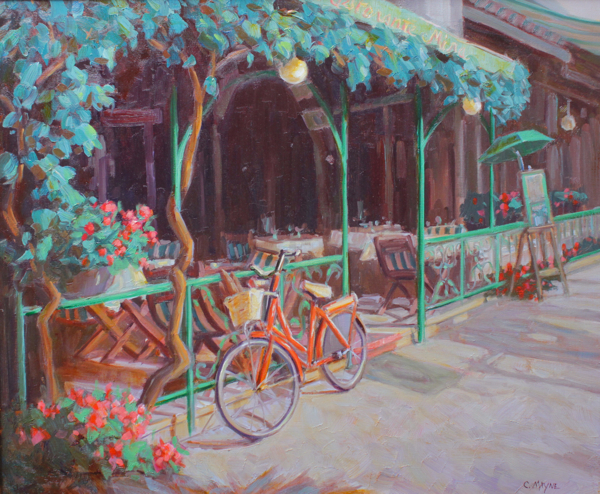 This painting was interesting because of the light falling on the front of the cafe and the bike. I won't be stopping Monterosso al Mare on my trip next month, but always love to visit in my heart!